Photo: The visiting Polish rescue team (left to right): Piotrek Tomala, Jaroslaw Botor, and (far right) Adam Bielecki, with (second from right) Phil Powers, the executive director of the AAC. Denis Urubko, who is Russian and Polish and was also key to the Nanga Parbat rescue, did not attend. Photo: Heidi McDowell. The speech was at the AAC annual meeting and awards banquet, held March 8-10 in San Francisco, for which Bielecki, Jaroslaw Botor and Piotrek Tomala had all flown from Poland. 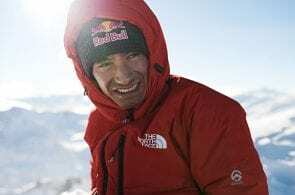 Absent was Denis Urubko, who with Bielecki climbed fast through the night on technical and perilous terrain on Nanga Parbat in January 2018 to save Elisabeth Revol of France and attempt to save Tomek Mackiewicz of Poland. Asked later for the text of his speech, Bielecki was able to obtain a recording and then a transcription. “Here is the speech without grammar mistakes I made,” he emailed Rock and Ice, with a smile emoji. Below is the full text. The speech and the rescue effort it represented by all four—and, as he pointed out, many more—received a standing ovation from the evening crowd of approximately 450. 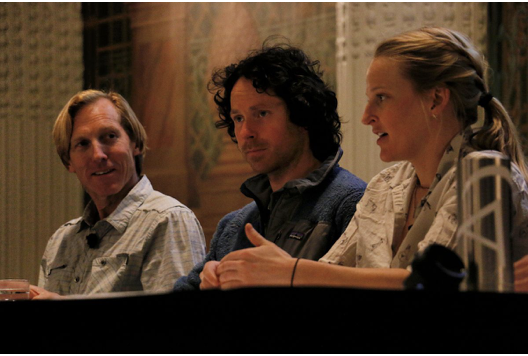 Hans Florine, Colin Haley (also keynote presenter) and Emily Harrington speak on a daytime panel on speed climbing and the whole spectrum it can encompass—or not. Harrington and Adrian Ballinger also emcee’d the evening presentations. 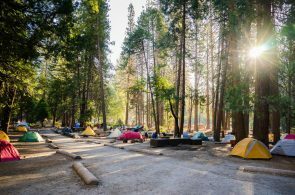 Photo: courtesy American Alpine Club. 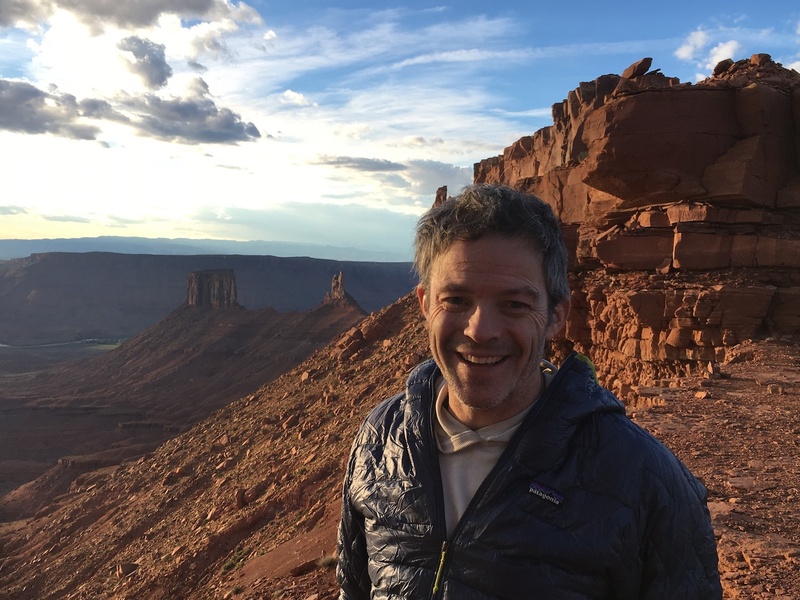 The Sowles Award is not given every year, and when done, is an emotional highlight of the two-day annual meeting, which culminates with a keynote presentation, this year delivered with insight and honesty by Colin Haley. Haley, 34, whose vast repertoire includes a solo of the Infinite Spur on Mount Foraker, a new route on the Emperor Face with Steve House, and with Jed Brown the first winter ascent of Mount Huntington, described his historic experiences—first in four days with Rolando Garibotti in 2008, and then in one day with Alex Honnold in 2016—on the Torres Traverse in Patagonia. Kate Rutherford, Underhill awardee, thanks an audience that includes her parents, Dana Illo and Mark Rutherford. 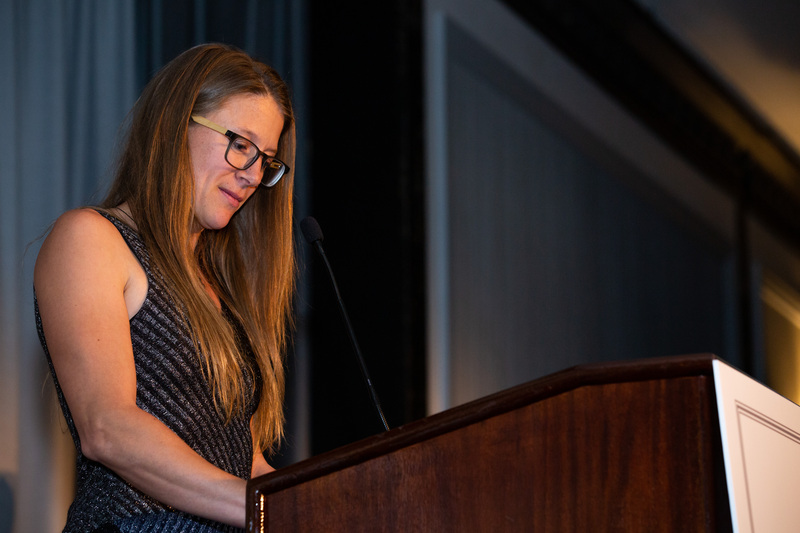 She asked the audience to join her in a call to action: “I pledge with all my super human strength to eat more organic leafy greens and to love, protect and respect my climbing partners and our wild lands.” Photo by: Jim Aikman. 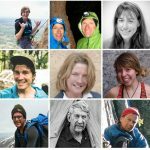 Receiving the Underhill Award for achievement was Kate Rutherford, who has free climbed El Capitan and climbed extensively in Patagonia, with climbs including the North Pillar of Fitz Roy; while Jim Donini and Michael Kennedy were bestowed honorary memberships, traditionally the club’s highest honor. 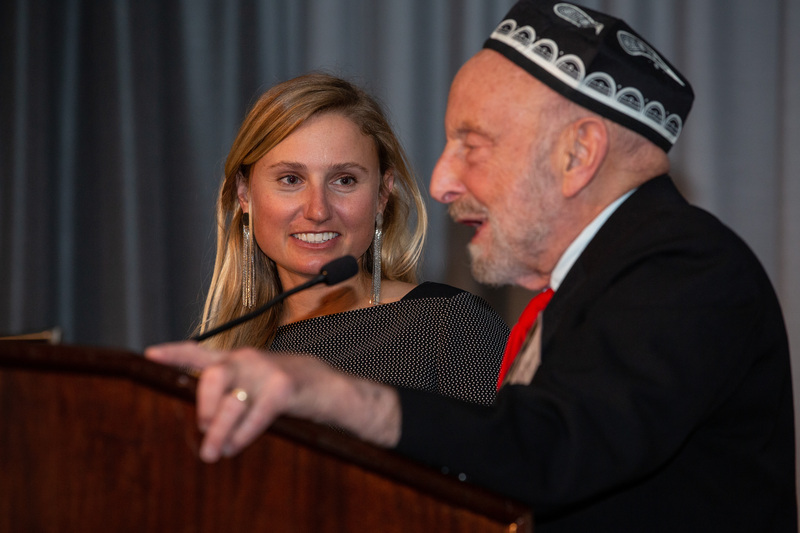 Dr. Tom Hornbein, engineer with Willi Unsoeld of the 1963 first ascent of the West Ridge of Everest, received the Heilprin award for service, and the Bates award for an outstanding young climber went to Brette Harrington, 26. Brette Harrington receives the Bates Award for youth from a well-hatted Tom Hornbein, of Everest 63. Photo by: Jim Aikman. Kelly Cordes is to receive the Literary Award at a separate event in June. Photo by: Sonja Bjornsen. 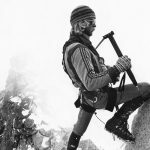 Jeremy Jones received the Brower Award for his work in founding Protect Our Winters, whose mission was presented during the day by the alpinist Graham Zimmerman, with a Q/A afterward by POW’s Torrey Udall and Lindsay Bourgoine. (Awards and recipients are described further here.) Kelly Cordes will receive the annual Literary Award on June 2 in a celebration at AAC headquarters in Golden, Colorado. “Thank you for this warm reception. “It certainly does feel great and we feel honored to be among you tonight. But what is even more important, it is a great fun to be among you. Speaking before with my colleagues we came to a conclusion that we perceive this event and this community as lively, energetic, full of joy, full of passion and this is exactly why we go to the mountains. 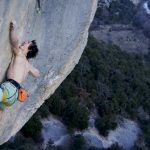 This is what I personally love about climbing because this is what climbing usually is. It is full of joy. 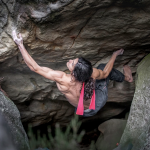 “But at the same time we are all fully aware that there is another side of climbing. “Even though we are not going to the mountains for the risk itself, the risk is always there. “We have to embrace it, we have to accept it, we have to be fully aware of it. 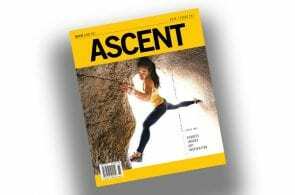 In our pursuit of achieving our climbing goals we face our fears and we test our limits. But that also sometimes puts us in a situation where we are on the wrong side of our limits. These are the moments when we need help of fellow climbers. “Referring to the Nanga Parbat rescue, I want to underline two things. One of them is that it is not just four of us … Denis, Peter, Jarek and me, who literally performed this rescue mission but it was possible because of the community. Because of coordinated effort of multiple people from different countries but I could even say from different worlds: world of politics, world of climbing, army world even. So this award goes to all of these amazing people who made this rescue mission possible. The Sowles award receives this description on the AAC site: “David A. Sowles was killed at the age of 29 in a tragic accident during a lightning storm in the Alps on August 4, 1963. 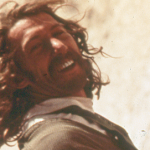 He was considered a mountaineer’s mountaineer. He climbed with grace, style, and elegance … moved swiftly, always safely, and with the utmost consideration for the welfare of his companions.” The David A. Sowles Memorial Award, established in 1981, is conferred on those who “with unselfish devotion at personal risk or sacrifice of a major objective,” help others in peril in the mountains. Other recipients have included Pete Schoening and the other members of the 1953 K2 expedition (see one account here), who all labored, though in vain, in storm to bring their friend Art Gilkey down the mountain (“We never considered leaving him,” Dr. Charles Houston said in a presentation for the AAC some 30 years ago); Gary Hemming; Jim Wickwire; Jenny Lake Rangers of Grand Teton National Park; John Petroske; Pete Athans; Anatoli Boukreev; Elizabeth White; Rick Wilcox, Jr. and Mountain Rescue Service (a group including Albert Dow, who died in an avalanche while on a rescue); Ed Viesturs; Jack Tackle and Charlie Sassara; Pemba Gyalje Sherpa; and Mike Helms and Bob Kandiko (as described in The Bond by Simon McCartney, winner of the 2016 Boardman-Tasker Prize for Mountain Literature and the 2016 Mountain Literature award at the Banff Mountain Book Festival). You can read the story of the Bielecki-Urubko-Botor-Tomala rescue effort here. The tale appears in feature form in Rock and Ice number 256, the issue currently on newsstands.